Dr. Ruba Rizqalla has been practicing dentistry for over 10 years and is proud to serve the tristate area in her state-of-the-art office. 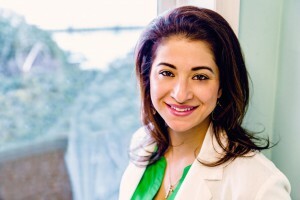 Dr. Ruba Rizqalla was born and raised in Claremont, California. She received her bachelors of Science from the University of California, Los Angeles (UCLA) before moving to NYC to complete her dental training at Columbia University’s College of Dental Medicine. Following her DDS degree from Columbia, Dr. Ruba completed a general practice residency at the University of Michigan, Ann Arbor, that focused on treating pediatric and adult patients with special needs, oral cancer, dental trauma, endodontics, Invisalign, periodontics, implant restorations, simple and complex reconstructive dentistry, and oral surgery. Throughout her academic and clinical career, Dr. Ruba has received numerous awards and has continued her training in the latest technologies with continuing education courses. Dr. Ruba strives to provide her patients with a positive and enjoyable dental experience. She has a gentle and compassionate touch while using the latest of technology, education, and skill to provide all her patients with a functional and beautiful smile. Dr. Ruba Rizqalla is affiliated with the Rockland County Dental Society, New York State Dental Association, American Dental Association, Academy of General Dentistry, and the American Academy of Cosmetic Dentistry. Outside the office, Dr. Ruba enjoys spending time in the city, the arts, staying active and athletic, and spending time with her family and friends, especially her four favorite men, her husband a local ER physician, Dr. Jamil Rizqalla and their three boisterous and energetic boys.